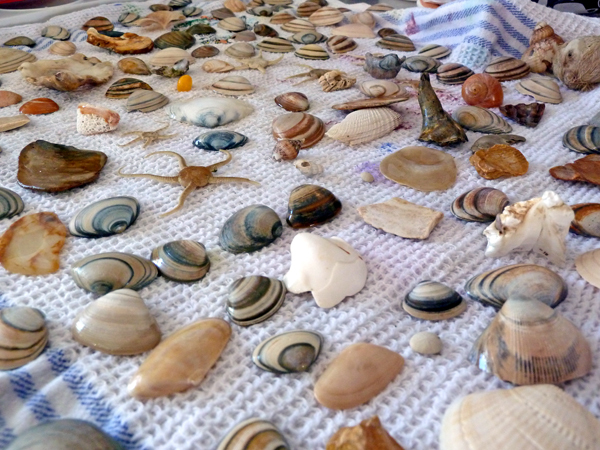 So, here’s sea treasures….I took the time to rinse them clean today…aren’t they beautiful? 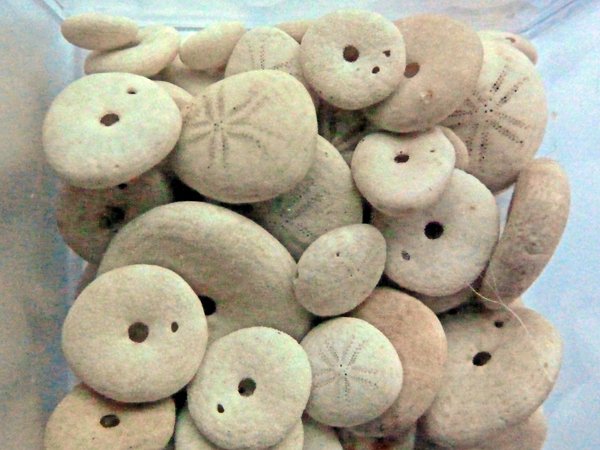 Pea Urchins found on the beach…they washed ashore by hundreds if not thousands last weekend. Sea treasures…found superb shards of mother of pearl, exquisite shells with minuscule drilled holed in them, brittle stars that had washed ashore by thousands this weekend…all dead. Determinating the sea shells isn’t very easy, I tell you. I’m trying… And the colours don’t exactly make it easy. My shell determination book says the colour usually only starts changing after the little animal inside has died and the shell starts absorbing minerals from the bottom of the sea. The blue shells are the oldest…many we find are thousands and thousands of years old. We’re always looking so hard to find fossils, but look here how many I found!